SANTA FE SPORT PRODUCTION BEGINS AT HYUNDAI MOTOR MANAUFACTURING ALABAMA | Hyundai Motor Manufacturing Alabama,LLC. 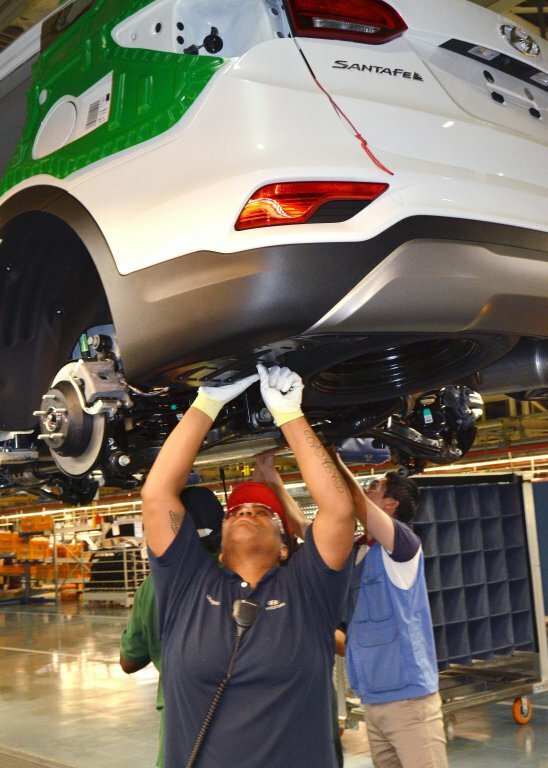 MONTGOMERY, Ala., June 22, 2016 –Santa Fe Sport production began today at Hyundai Motor Hyundai Motor Manufacturing Alabama (HMMA). During the balance of 2016, the plant plans to produce more than 36,000 of the Hyundai crossover vehicle to meet the growing demand in this popular segment. Having Santa Fe Sport production join Sonata and Elantra at HMMA will also provide Hyundai Motor Manufacturing Alabama more flexibility to shift product mix to meet market demands. 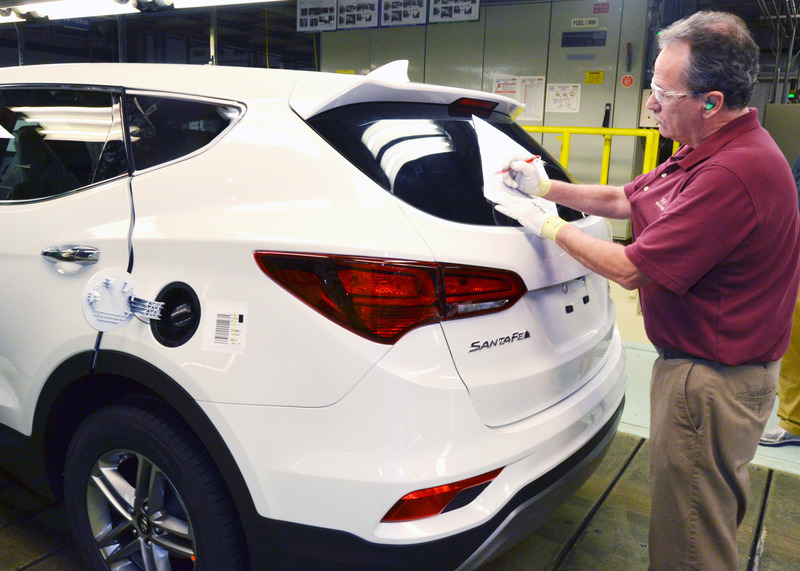 Since December 2015, the plant has been coordinating retooling, robot programming and other logistical projects to prepare for start of production this summer. The Santa Fe was last built at HMMA in August 2010. Hyundai Motor Manufacturing Alabama (HMMA), headquartered in Montgomery, Ala., is an independent manufacturing operation of Hyundai Motor Company, based in Seoul, South Korea. 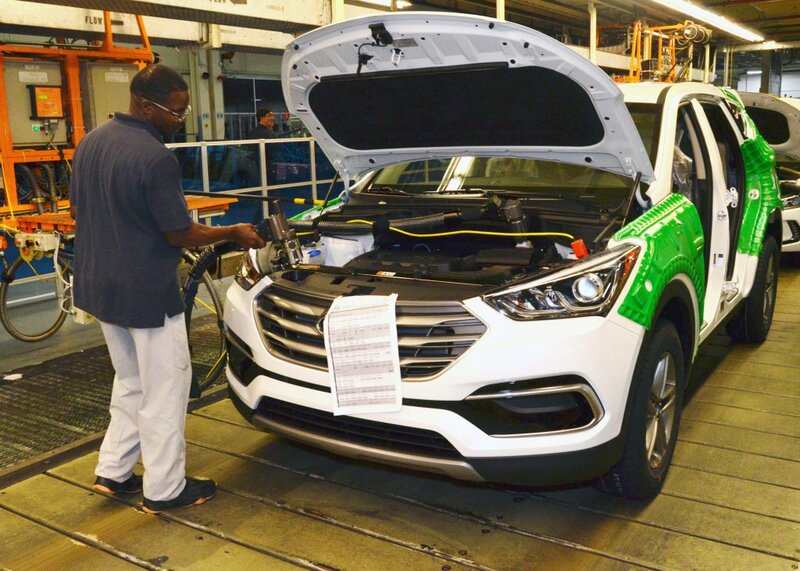 HMMA currently produces the 2017 Sonata and 2017 Elantra sedans and the 2017 Santa Fe Sport. HMMA can produce 400,000 vehicles annually. 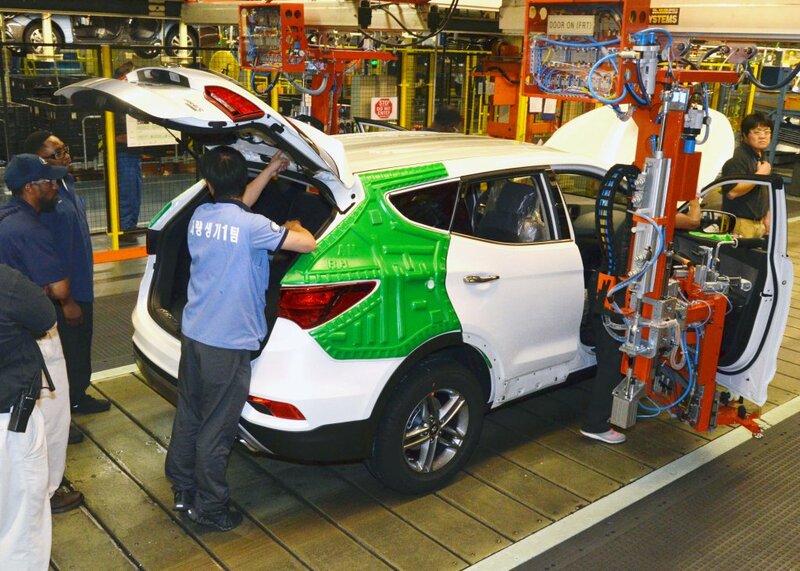 Hyundai cars and sport utility vehicles are distributed throughout North America, Canada, United States and Puerto Rico. 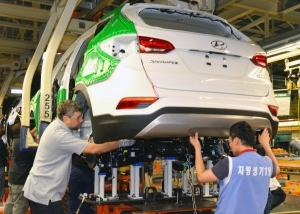 In the United States, Hyundai vehicle sales are managed by Hyundai Motor America and are sold and serviced nearly 800 Hyundai dealerships nationwide. Below, you'll find high-resolution versions of the images associated with this post. Right-click and "Save As" on any of the links below to save the image to your computer.